When television first came onto the scene, most people received a total of three to five channels. Today those channels reach into the hundreds. However, while cable was once your only means of watching TV, the Internet has made it possible to watch just about anything your heart desires online, anywhere, anytime. Between the already-high cost of cable or dish service and that fact that it’s always getting more expensive, many people have begun to question whether or not they need cable at all. That being said, most people are still hesitant to fully cut the cord. This is usually because they fear that their favorite shows will no longer be available to them. If that sounds like you, here are six ways you can cut the cord and still watch your favorite shows. It seems to be a rarity that anyone watches television shows in real-time. After all, between everyday life and work the possibility of making it home by seven to actually sit and watch a show is pretty slim. Moreover, with the invention of DVRs, networks have had to come up with other ways to get their shows out there. Ergo, many major television networks have opted to make episodes of their shows available on their websites for free. Networks like ABC, NBC, CBS, TBS, and TLC all allow you to watch recent episodes of shows at no cost to you. That being said, not every network allows you to do this. Plus, some might require a cable or dish password in order for you to gain access. But for many, this is a good and free option to cut the cord and still watch your favorite shows. 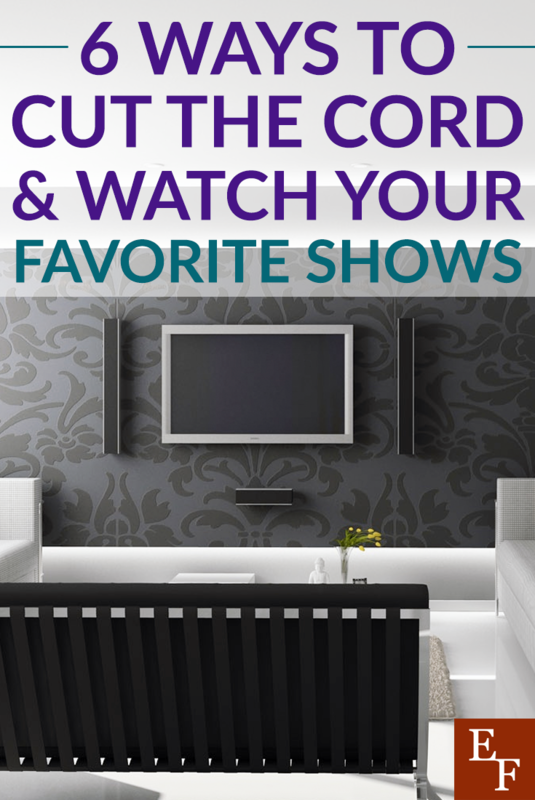 If the idea of not being able to watch shows or channels in real-time makes you hesitant to cut the cord, there are always cable replacements you can choose. Subscriptions like DirectTV Now, Sling TV, Youtube TV, and Playstation Vue, all act like cable. While they stream over the internet like other services, they instead allow you to view your favorite channels like TBS, Nickelodeon, VH1, USA and many more, live. Moreover, Playstation Vue acts like a DVR as well and gives you the option to record episodes for later. You can also check the Spectrum services which also offer cable tv options and even has a spectrum cable customer service number which is available 24/7. All that to be said, if you want to keep channels like HBO or TCM, you might want to consider simply keeping cable, as adding on more channels can rack up your bill rather quickly, and likely won’t save you much more than cable. Streaming devices can be another great way to cut the cord. Devices like Amazon Fire Stick, Apple TV, and Roku allow you to stream an array of apps like Netflix, Hulu, HBO Now, Youtube, and Amazon Video. Furthermore, many of these devices also give you the option of watching live TV shows and sports on channels like AMC, ESPN, Fox, HGTV and more, with a simple subscription to DirectTV Now. Roku is similar to the Fire Stick. It allows you to stream through various apps, but it also provides you with free content on many of the major network sites listed above. As I mentioned in relation to streaming devices, there is no shortage of online streaming services you can sign up for. Netflix and Hulu are of course two of the most popular services available. At the low cost of $8-$12 per month, Hulu and Netflix give you access to an abundance of shows, documentaries, and movies. Plus, they allow you to watch as much as you’d like. Amazon Prime is another great streaming option with an array of content and will only cost you $99 per year. You’ll have access to popular shows, Amazon original content, and popular, new blockbusters. Plus, this is an add-on to something you may be paying for already! If there’s a specific channel that you watch a majority of your shows from, networks like HBO and Starz allow you subscriptions as well. Of course, you’ll be limited to their content alone. Remember when old TVs had rabbit ears antennas? Well, today you can opt for a similar option, but in a much newer, better package. If you live in a suburban or urban area, an HD antenna can provide you with access to some of the more major networks as well as other selections, like CW and PBS, all for free. Consider purchasing an antenna like ClearStream Eclipse or the Channel Master FLATenna to receive channels for free. That being said, you might want to purchase it and try it out to ensure you receive decent reception before cutting the cord completely. While most subscriptions and streaming services will provide you with a majority of your favorites, there might still be a show or two, or seasons of certain shows, that aren’t available. If that’s the case, there are still ways to watch without paying for cable service. If a new season of one of your favorites is about to begin, places like iTunes gives you the ability to purchase a season pass giving you access to all the new episodes as they air. You can also do this if there are seasons of shows you may have missed. However, if it’s a past season, you might just have to purchase the season, which means you’ll actually own it. Moreover, while it might not be the obvious first choice, check out your local library. They usually have a rather impressive collection of your favorite shows all available to check out for free. For example, The Mindy Project isn’t available on my Netflix. So instead of signing up for Hulu, I simply checked it out at the library. Both are great avenues to consider if there’s a show you can’t seem to find. Cable and dish services used to be your only option. While it still has some shows and features you might miss, more often than not, the cost of cable just isn’t worth it. Thankfully, due to the invention of streaming services, devices, and network websites, there’s an abundance of ways you can watch all the best shows and movies without paying the high cost of cable. Have you cut the cord on cable? If so, what have been the pros and cons? Have you found that you’ve saved a lot of money?